I just tried to open up the FMRTE 19 programme and it doesn't work. The mouse changes to the hour glass as if it's loading and then nothing happens. I uninstalled, re-installed and it still doesn't work. I clicked on the Update button in the BraCa folder and that works and it tells me that I have the latest version. At the moment it's not possible to do that, I'm currently working on improve preset manager to support this kind of actions, but I cannot give any ETA for that to be delivered. anyone found good exploit in fmrte for fm19? 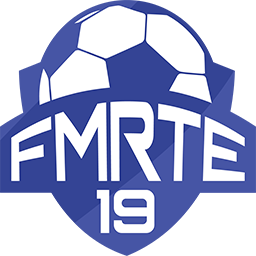 New version (19.1.2) of FMRTE (Build 9) is now available trough Auto-update Go to Settings Menu Click on "Check for Updates" Button Or run de update.exe on your FMRTE installation folder. This is already stated in the software. This is also stated in the forum rules. It is limited as he is not a big time developer like SI is. He does not have the resources like SI has. He does not see the source code like SI does. Furthermore, he is not 100% sure that features will work in each year so by limiting and then slowly releasing them, he can see how the new feature(s) impact the software individually and wholly. Is it possible to add the missing Preferred Moves in the Preferred Moves section of player? I've noticed "Play the ball out of defence" and "Crosses early" are missing from the Preferred Moves section. My player lost his "Play the ball out of defence" trait when I used fmrte to add a different trait. Another member had mentioned the "issue" a this a while back and the thread got closed. @BraCa @GoBLiN it looks like since this last build the mirror option to show player you are viewing in game in FMRTE is now working, this is good news as I know there has been issues with the last few versions 👍 also myself and @John1 have been running some sims re forced board takeovers and these are working if the league is a playable one Lower the Chairman status to 1 This will force a takeover pretty quickly usually within 2 weeks ,be aware when its your club you will go under an imposed transfer embargo whilst negotiations are ongoing but it is completed pretty quickly, so common sense says do it when the transfer window is closed. When I try to change some certain ability, I will have to change his CA as well, but I don't know how many I should add or minus. So I hope that when I change one's certain ability, his CA can change as well.